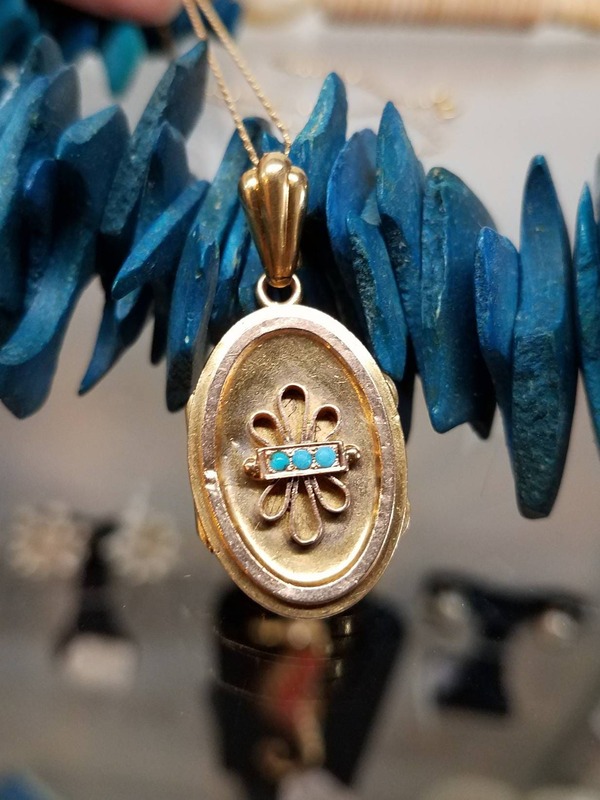 This Victorian 14K yellow gold locket has three center turquoise stones. 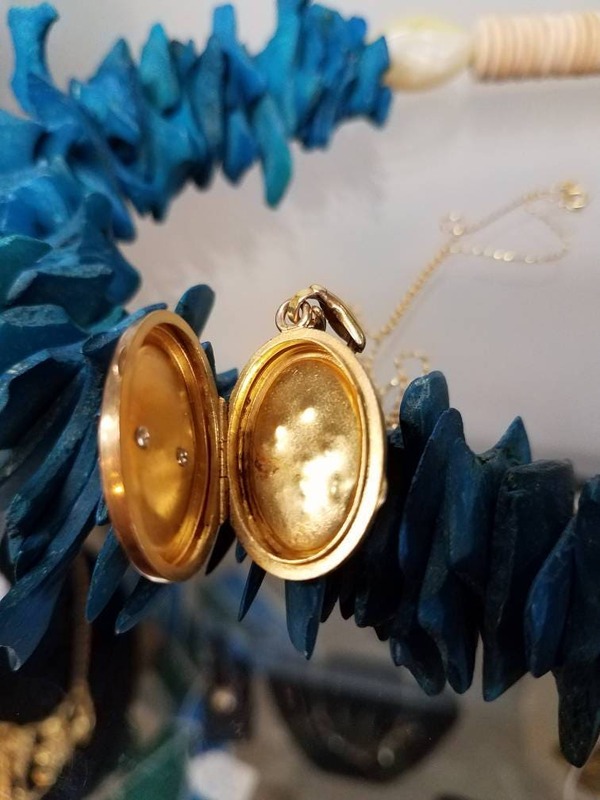 The locket opens and closes exactly as it should and has a 14K yellow gold 16 inch chain. 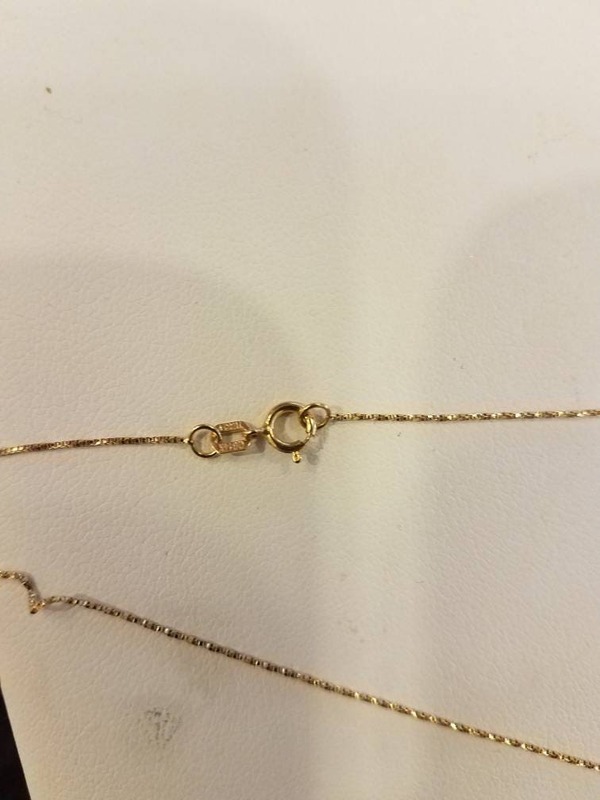 The clasp is a spring clasp and works perfectly. 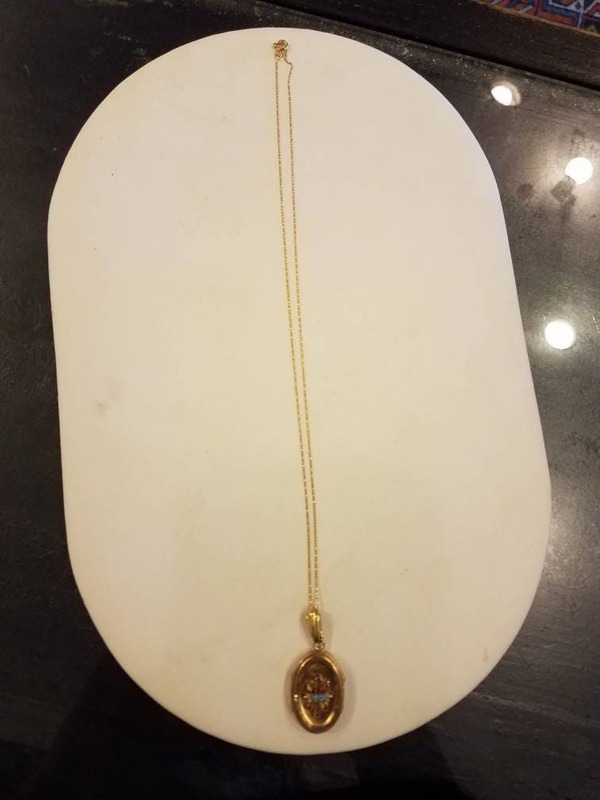 With the drop, the locket is 1.5 inches long and .75 inches at the widest point. 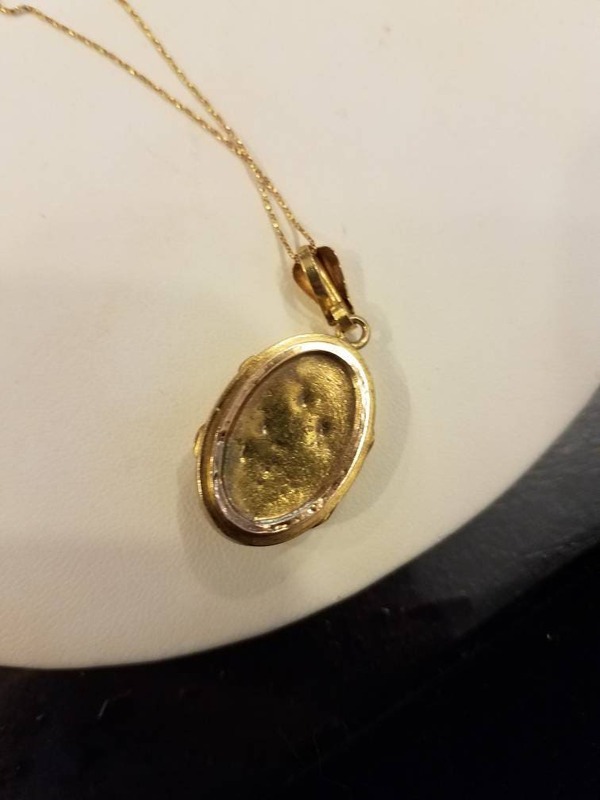 It has clearly been well loved during it's life, as some denting on the back shows us.